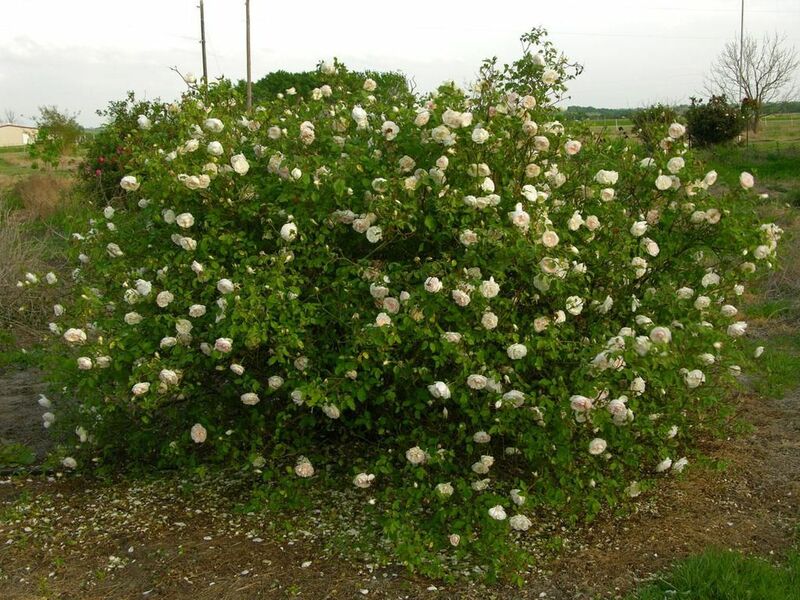 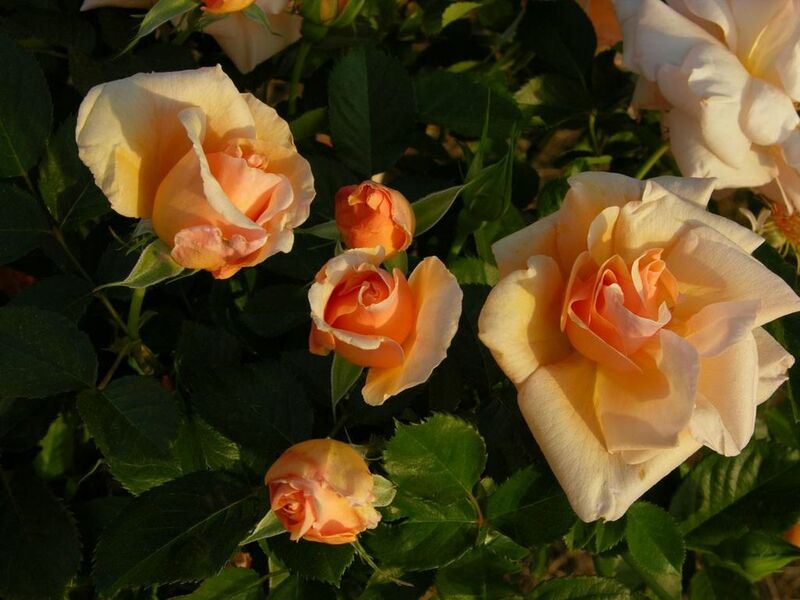 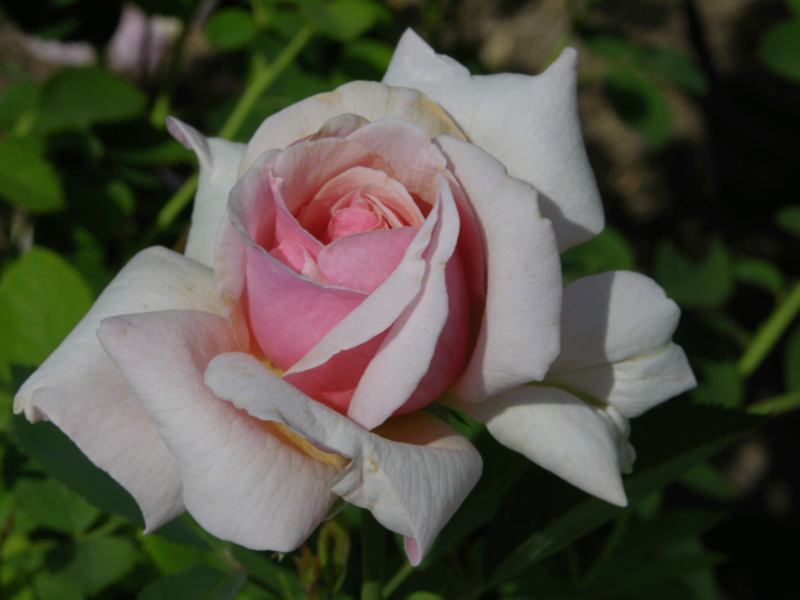 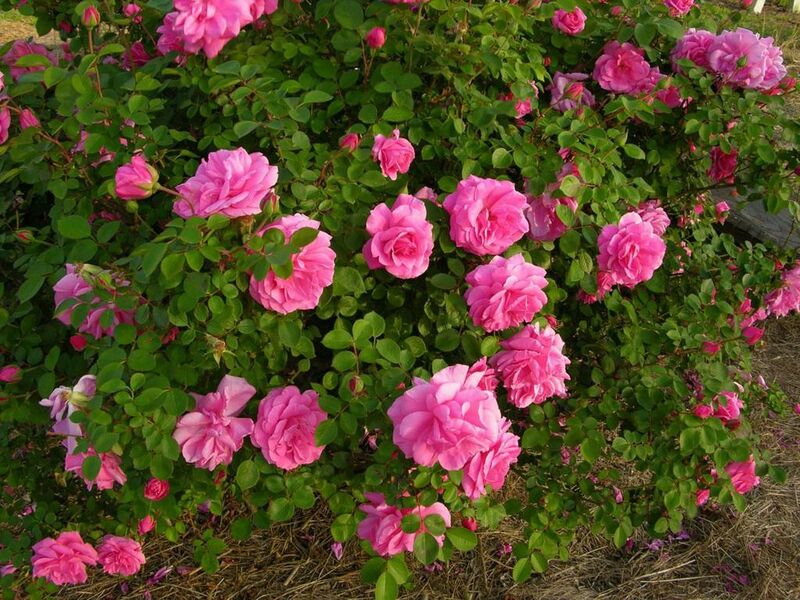 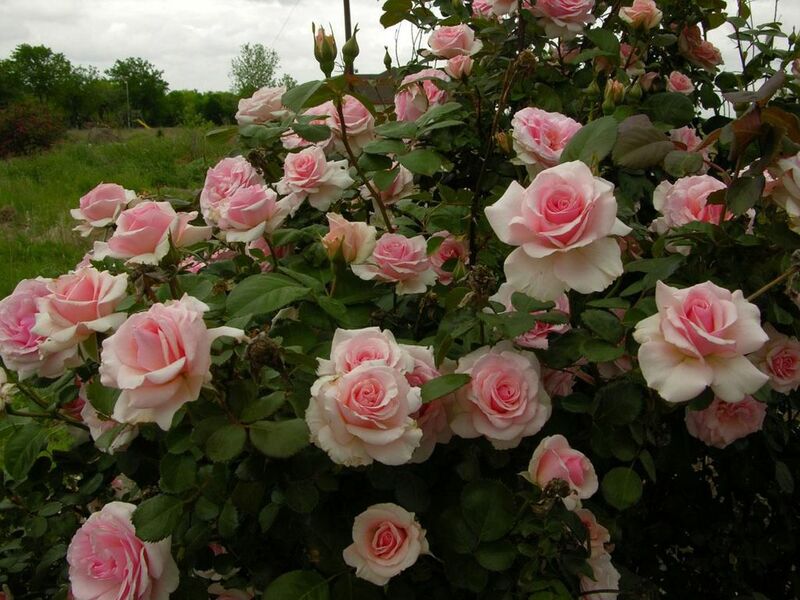 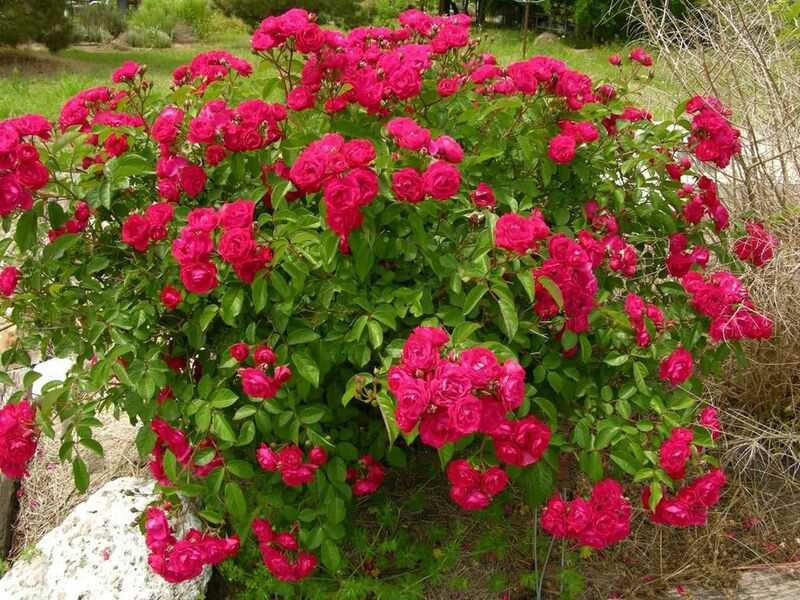 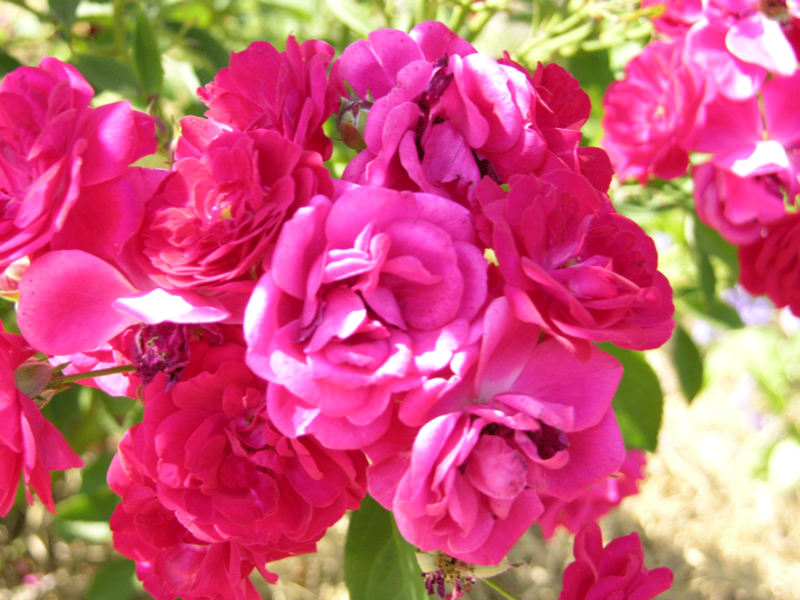 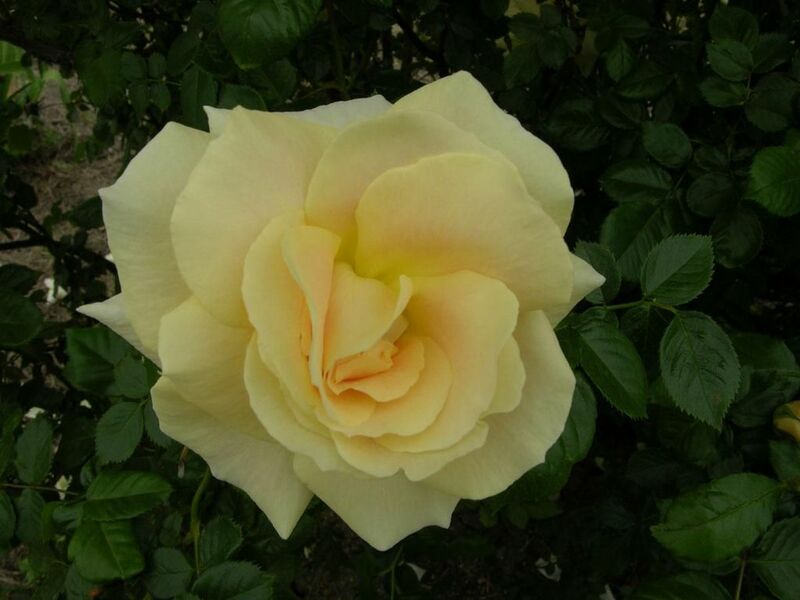 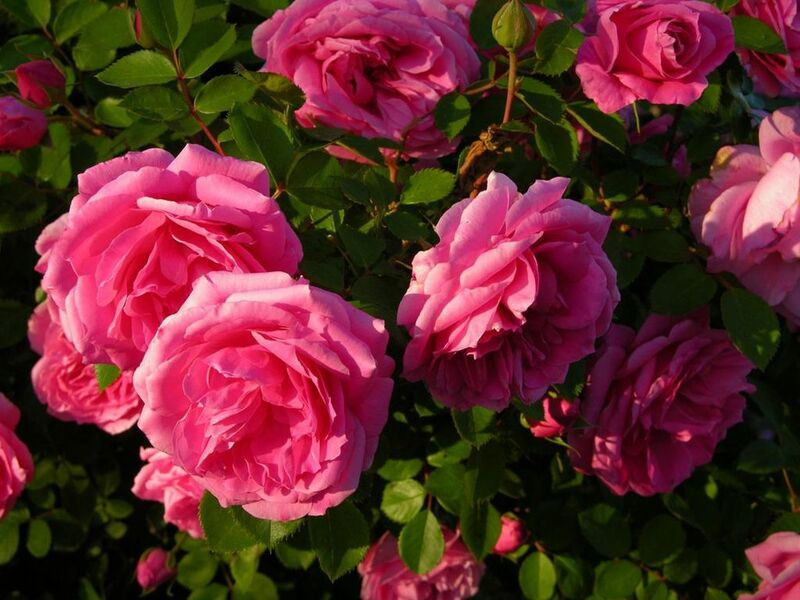 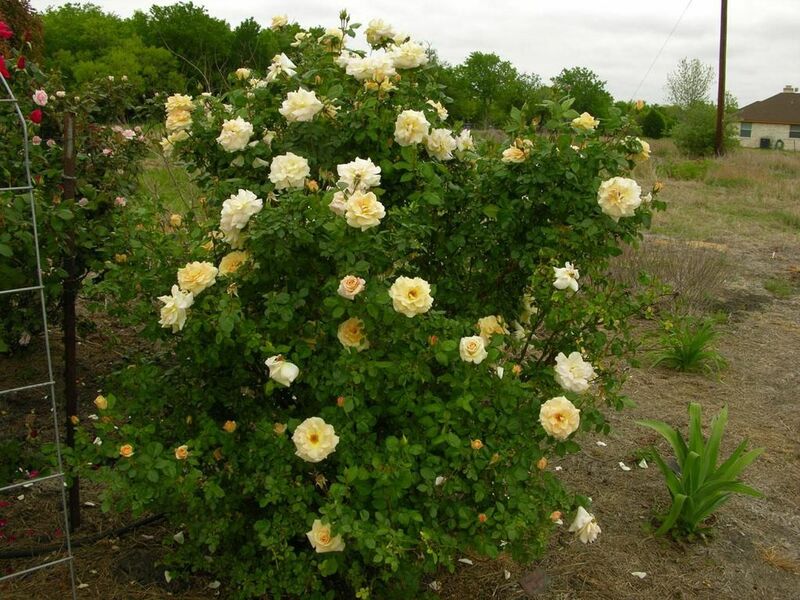 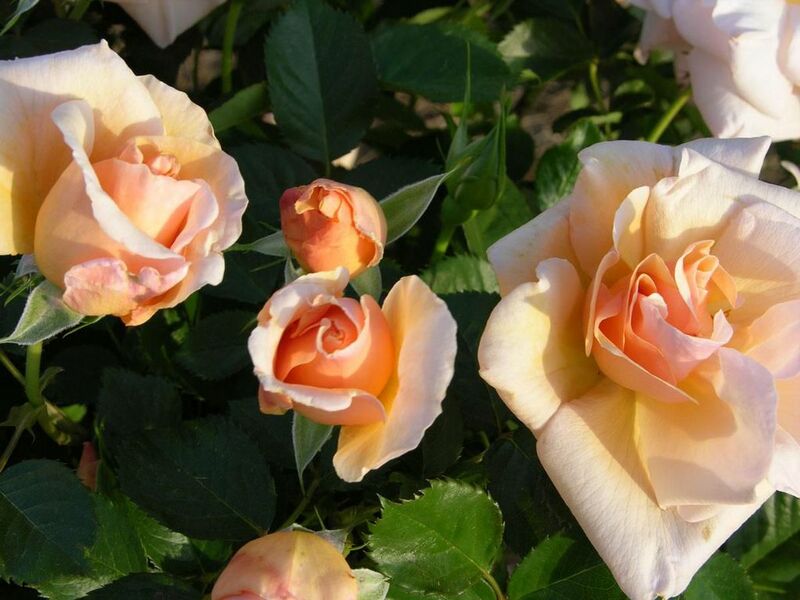 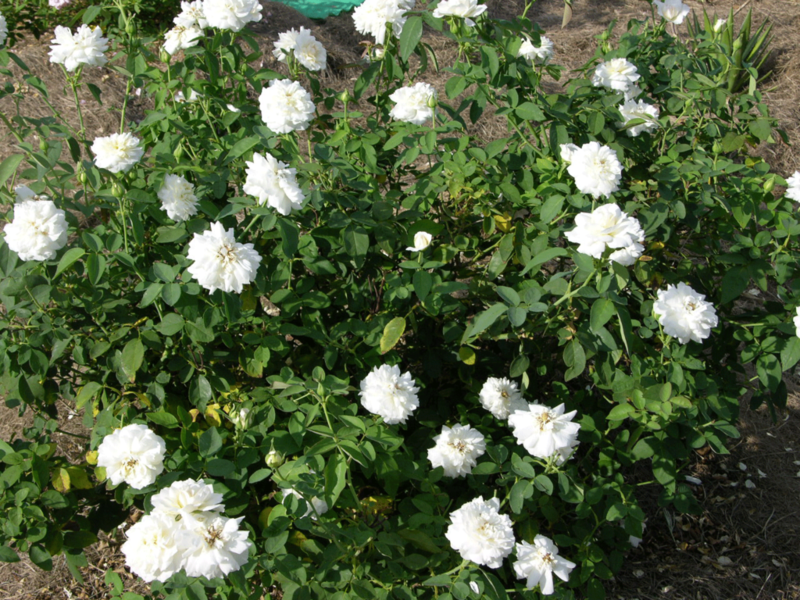 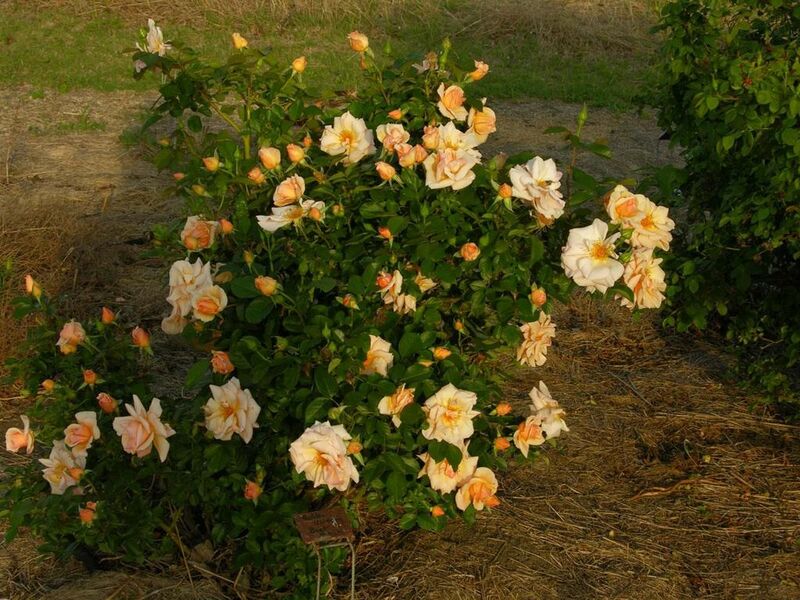 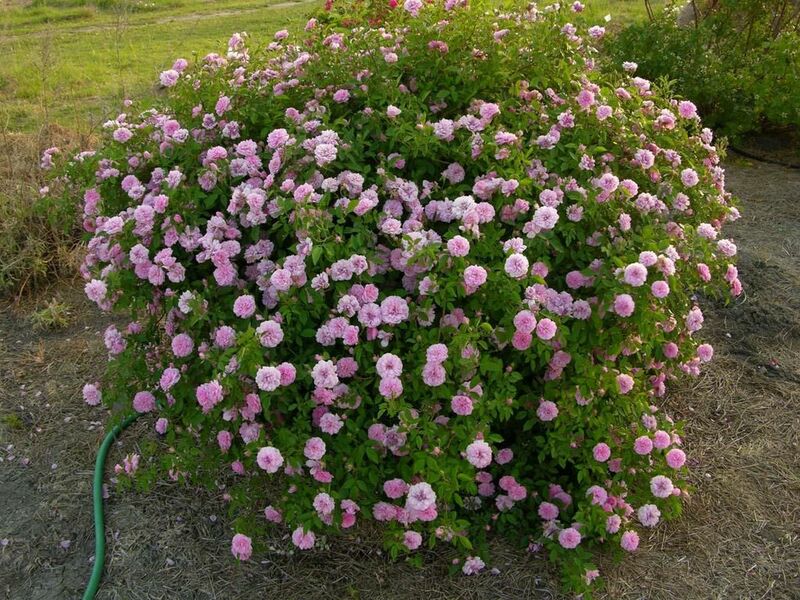 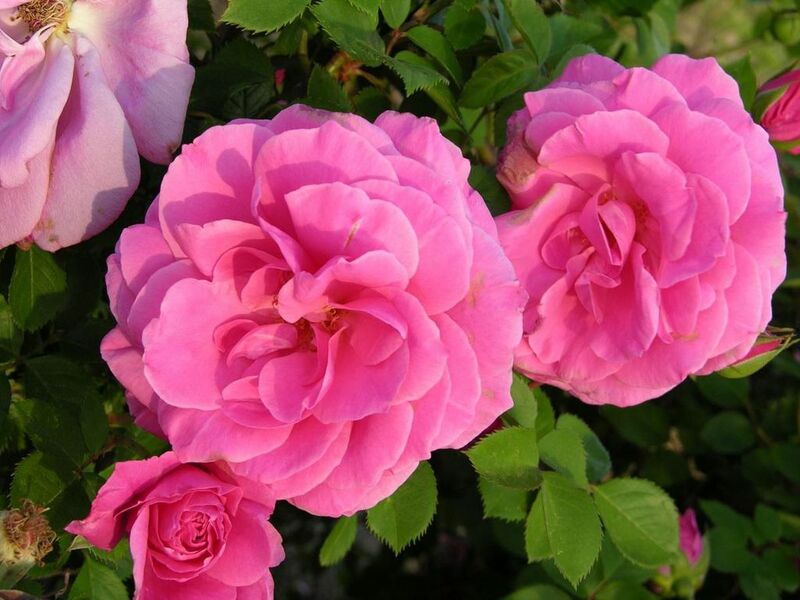 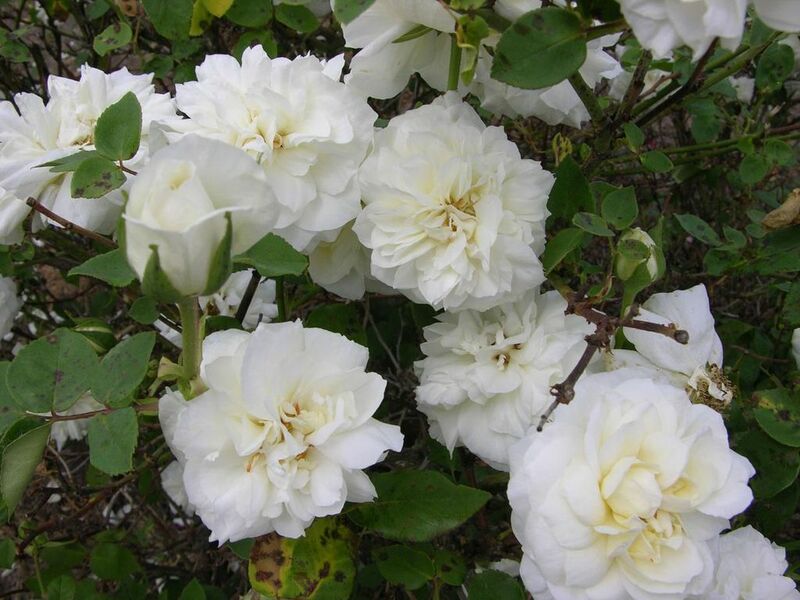 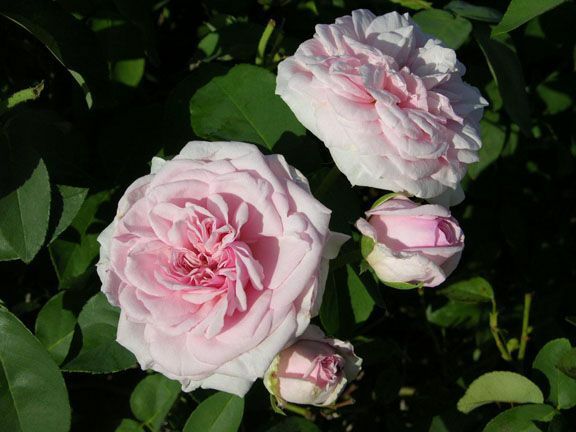 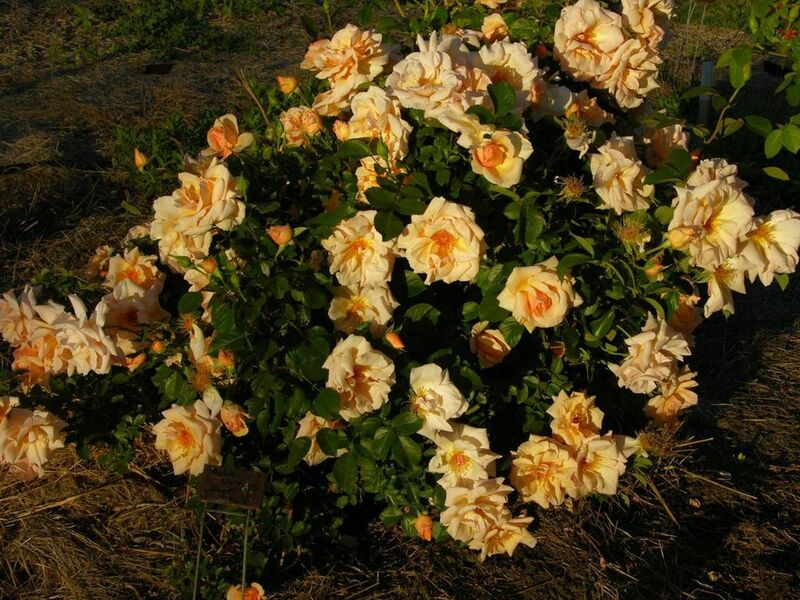 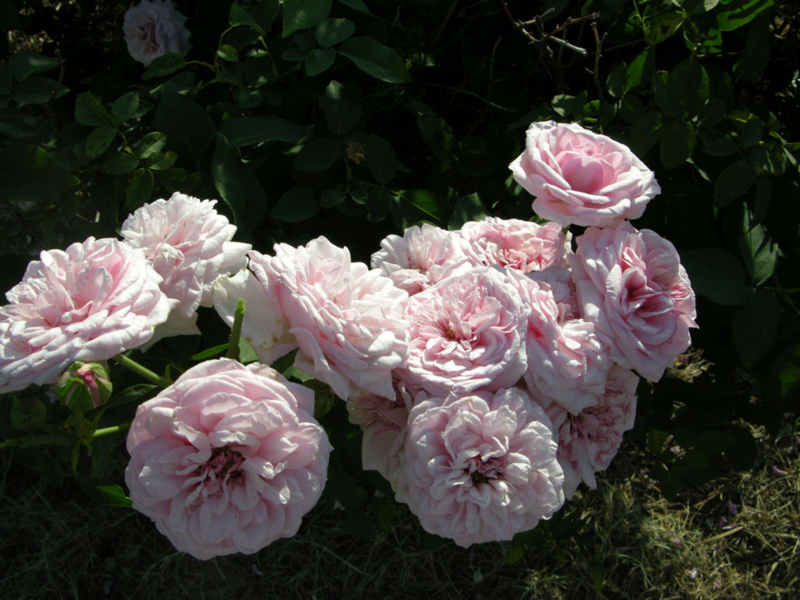 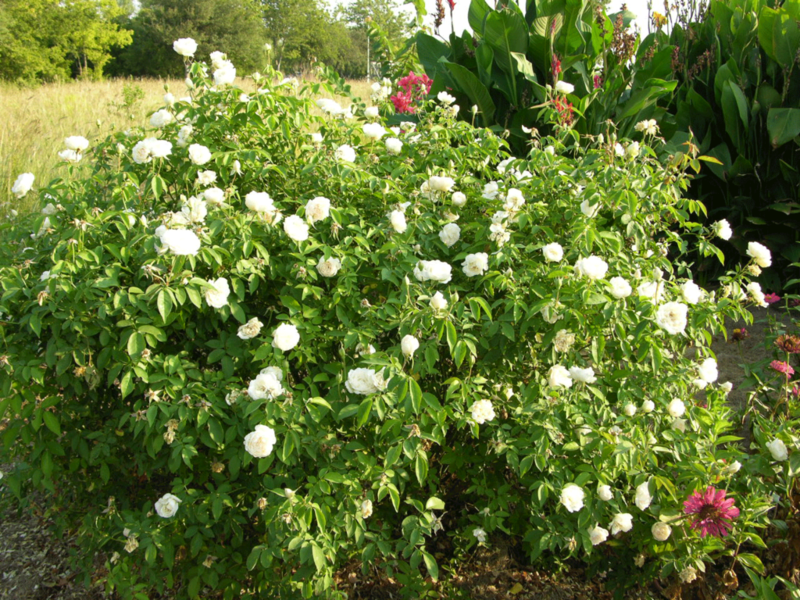 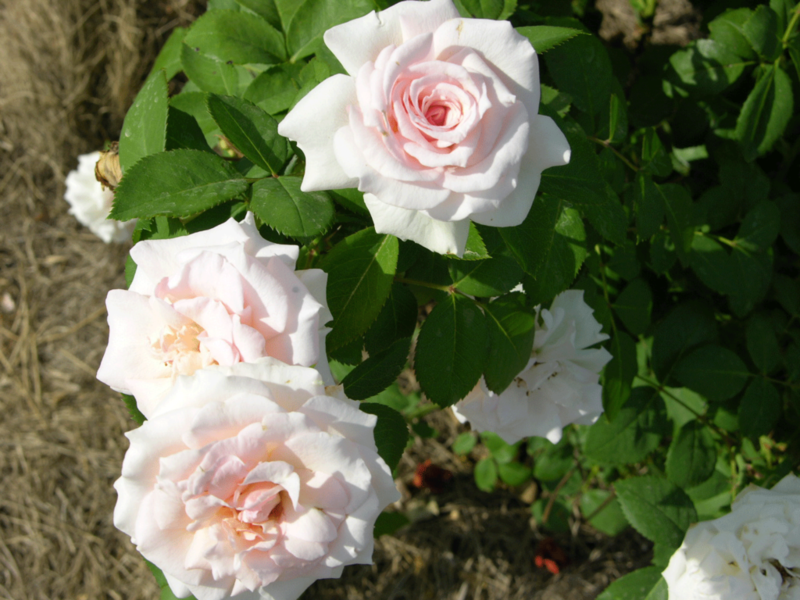 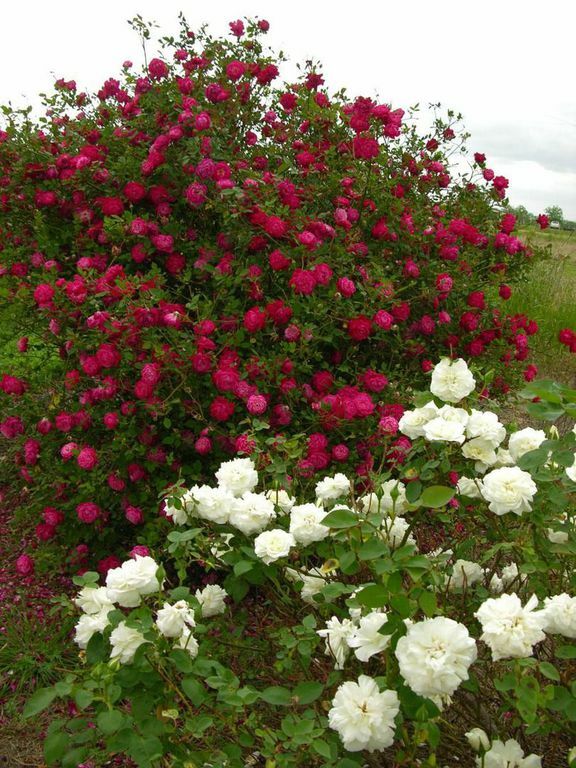 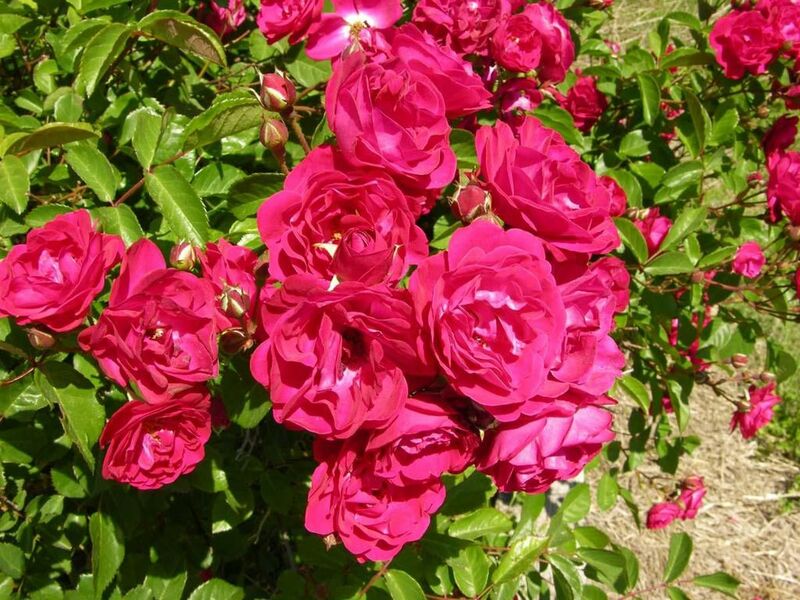 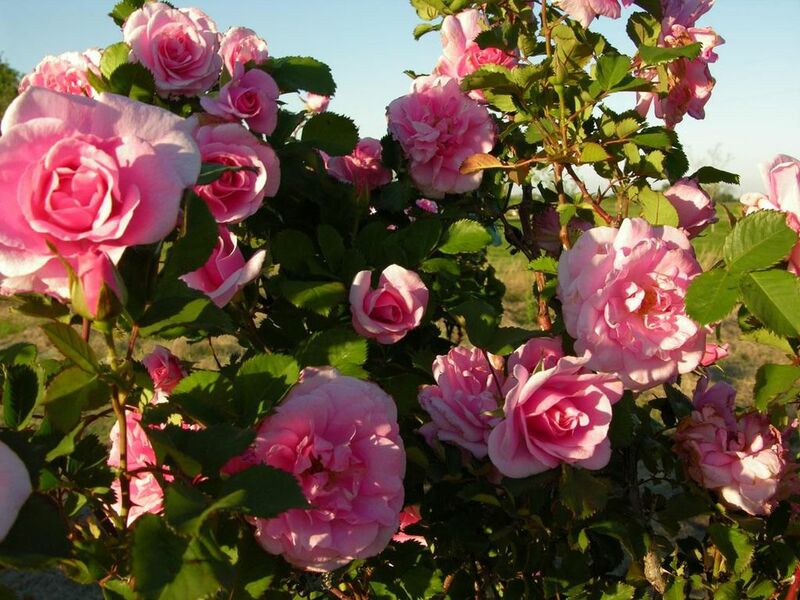 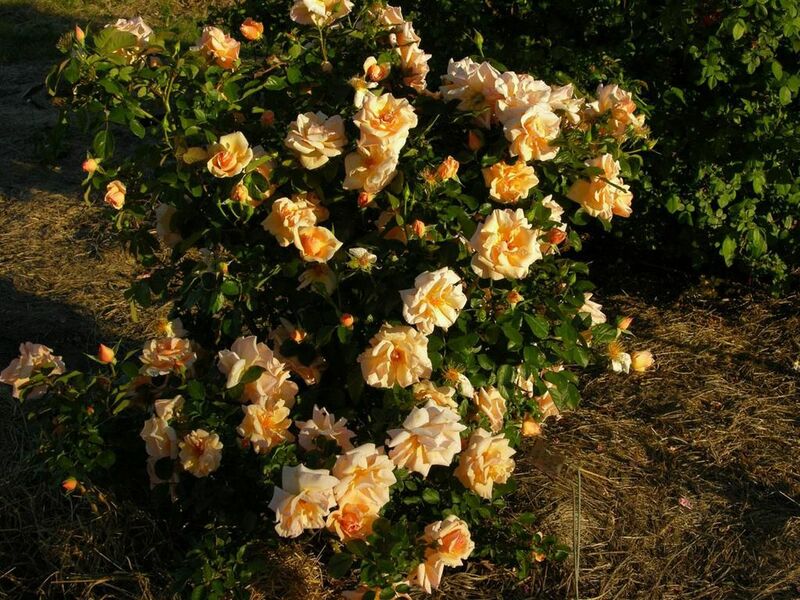 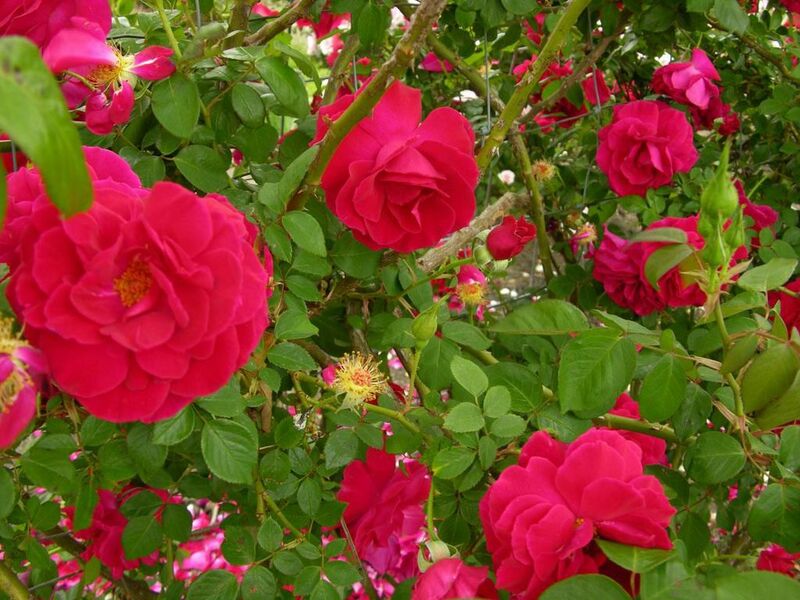 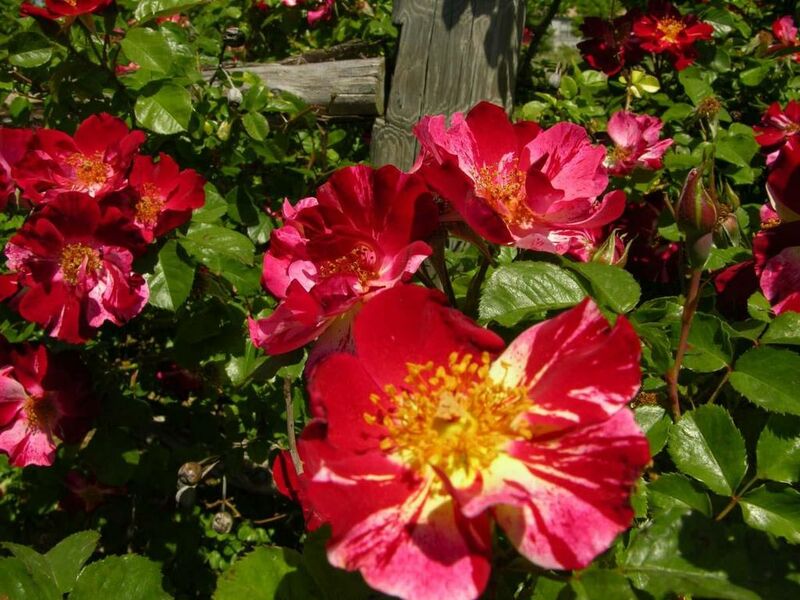 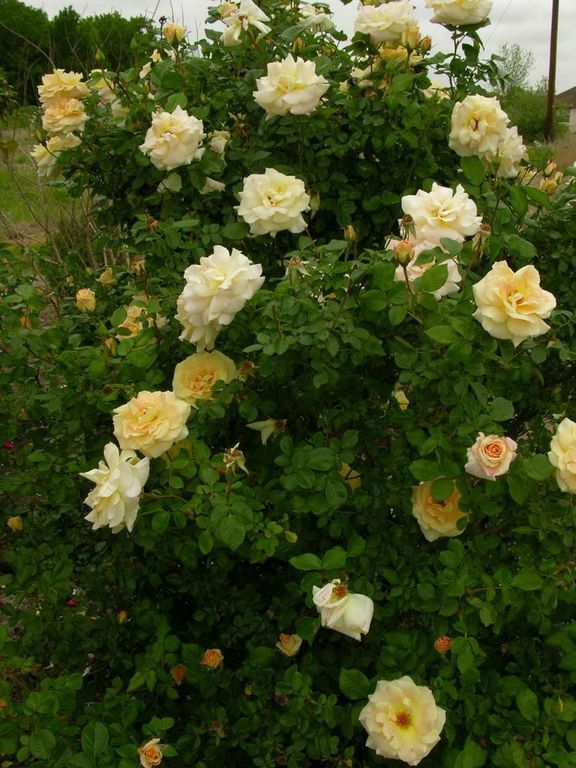 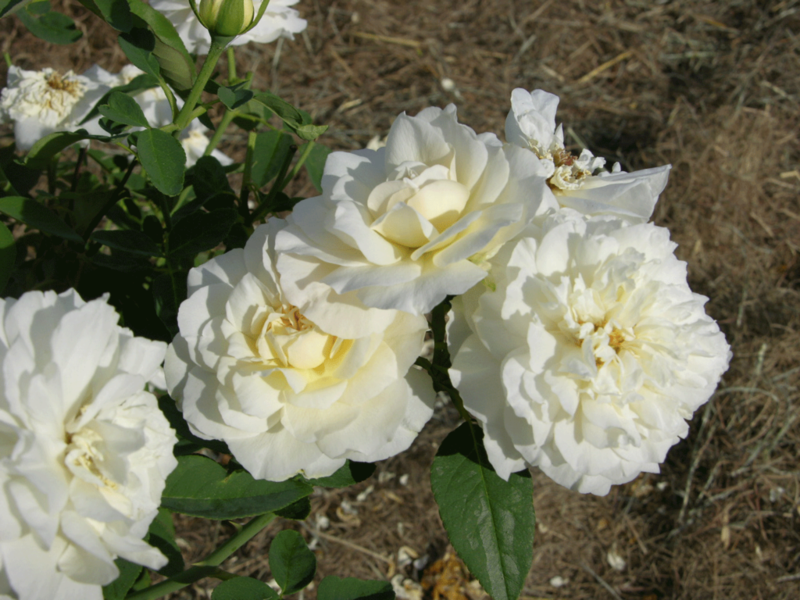 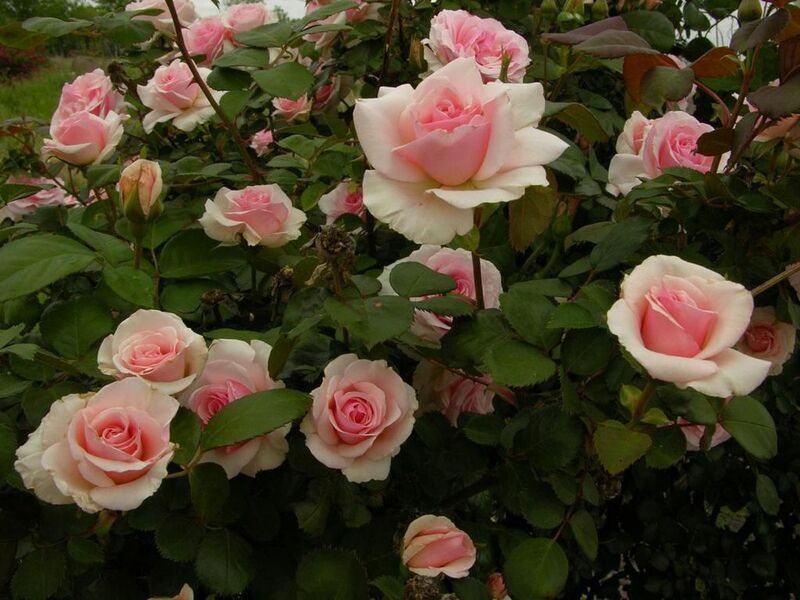 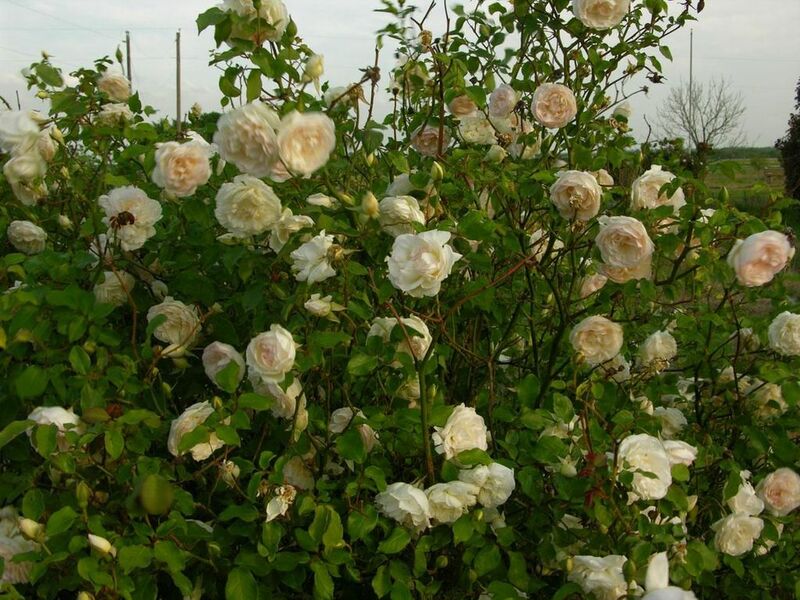 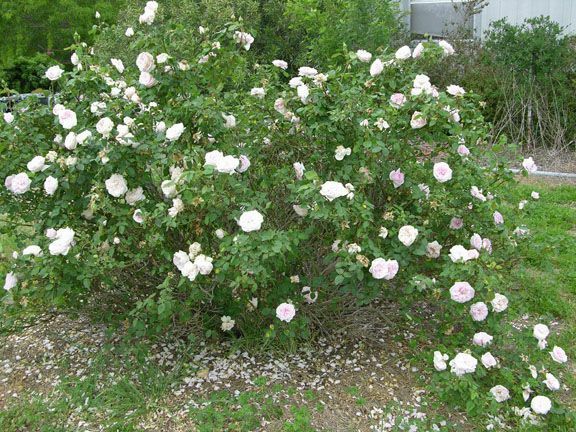 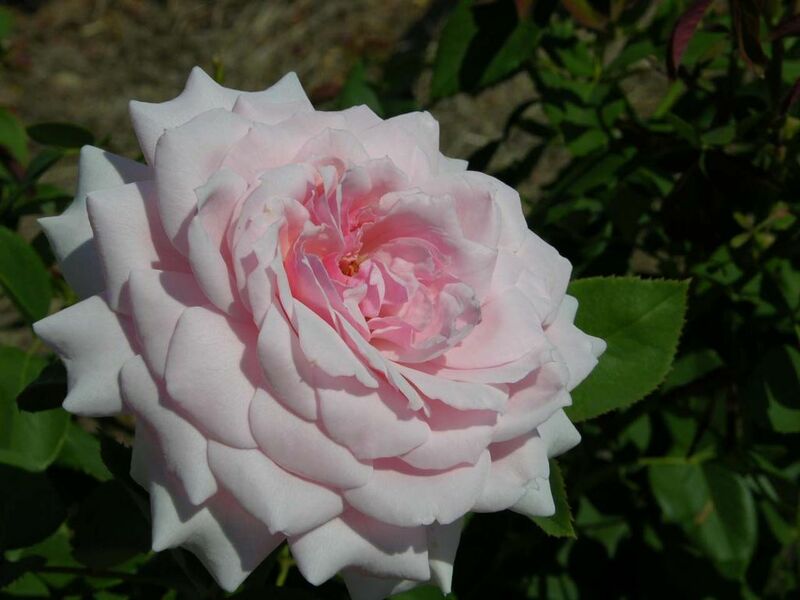 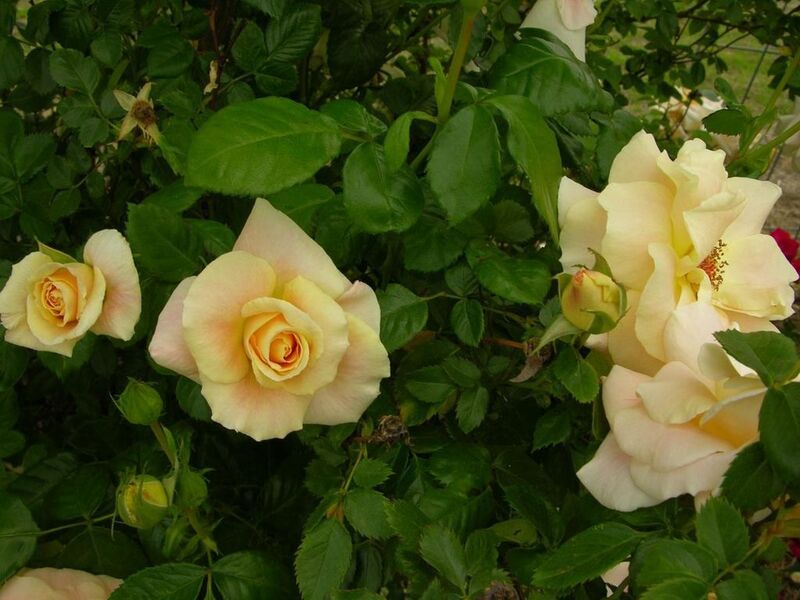 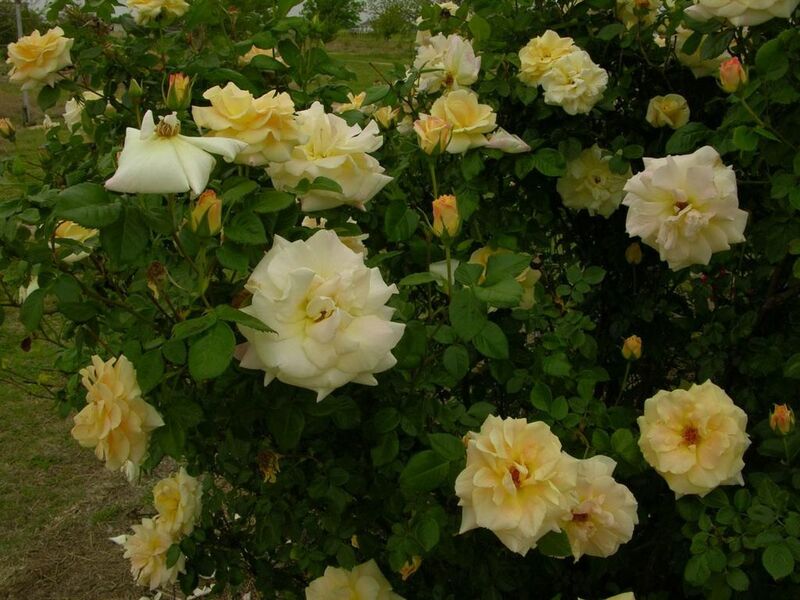 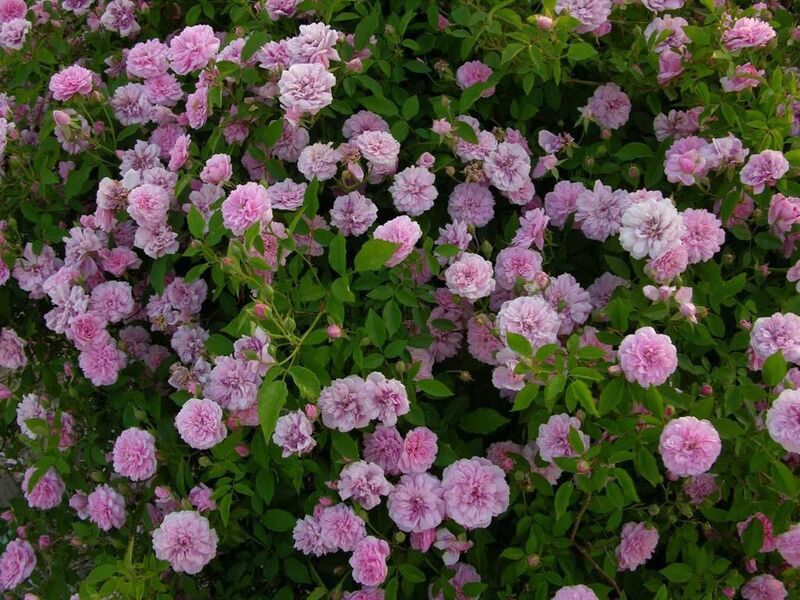 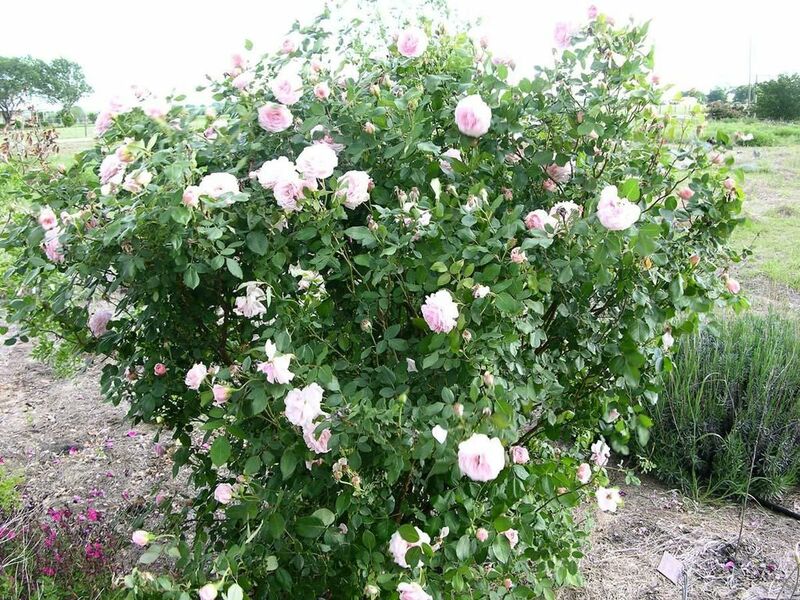 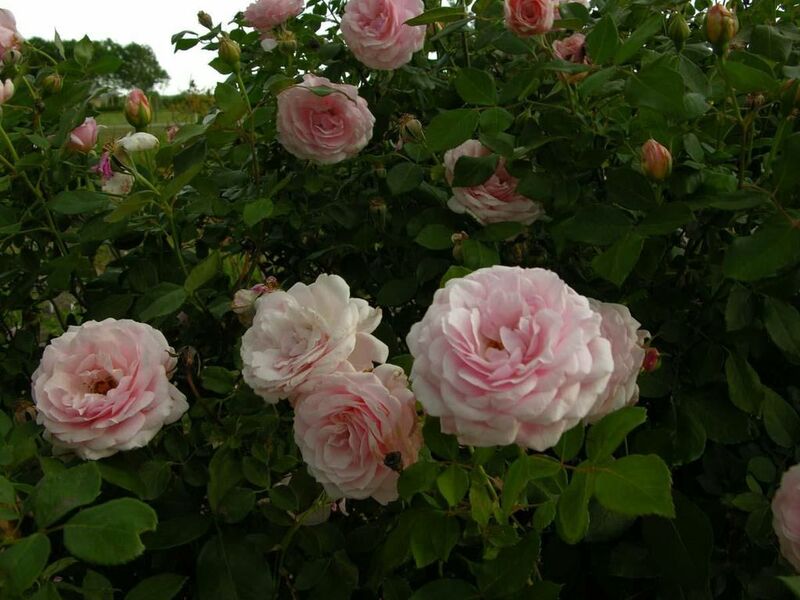 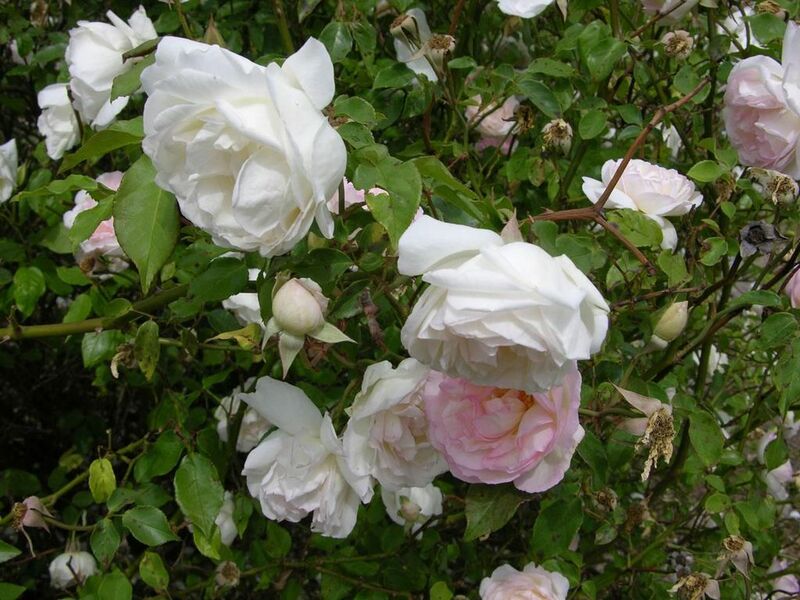 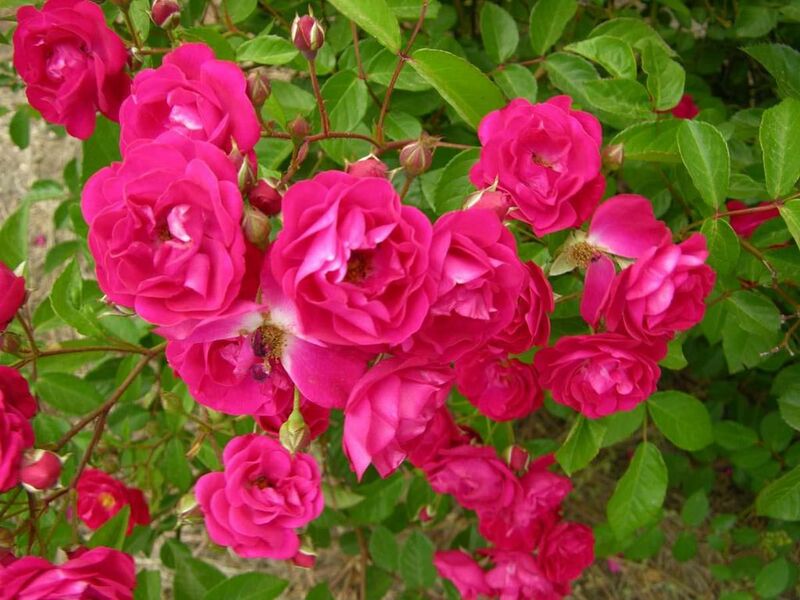 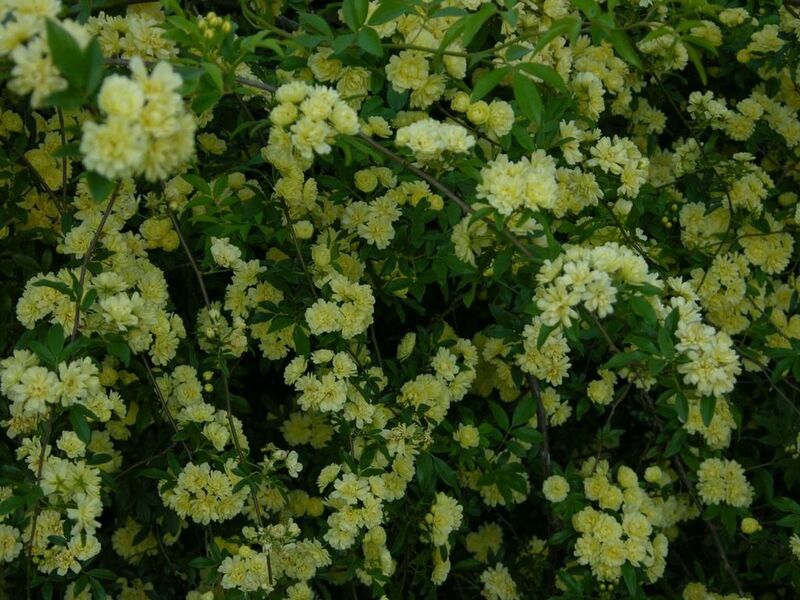 There are so many wonderful landscape roses that are also fragrant, so don't settle just for the lovely, but ubiquitous knockout variety that has no fragrance. 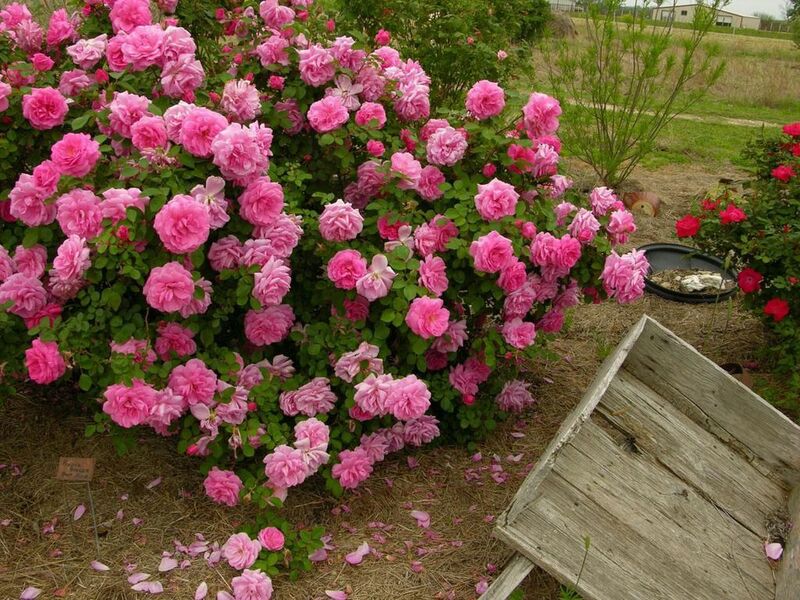 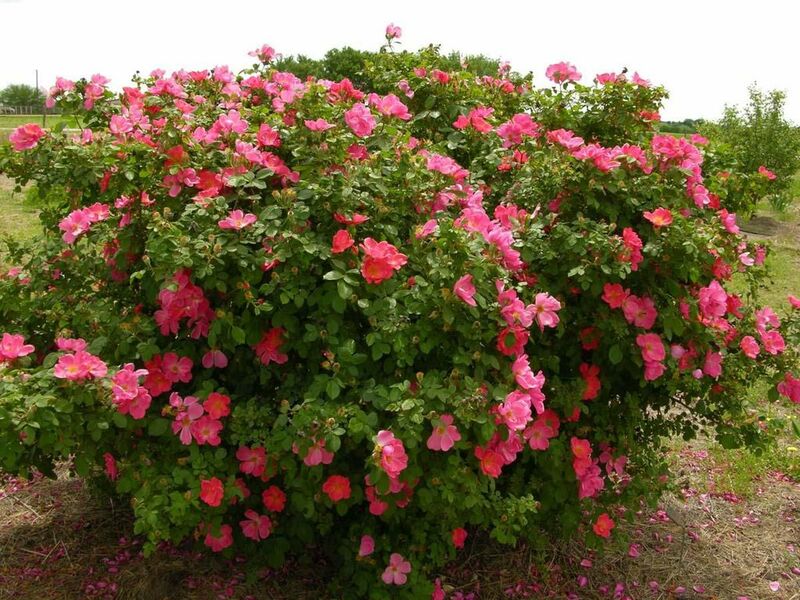 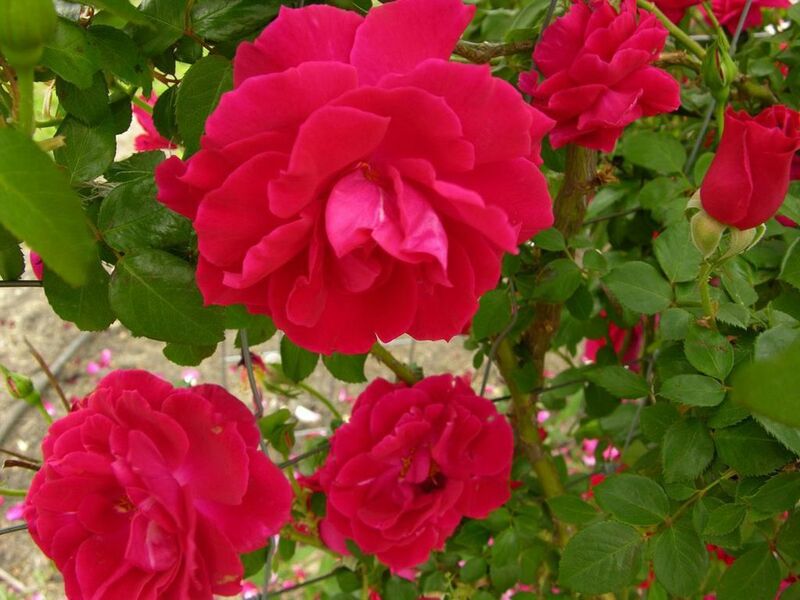 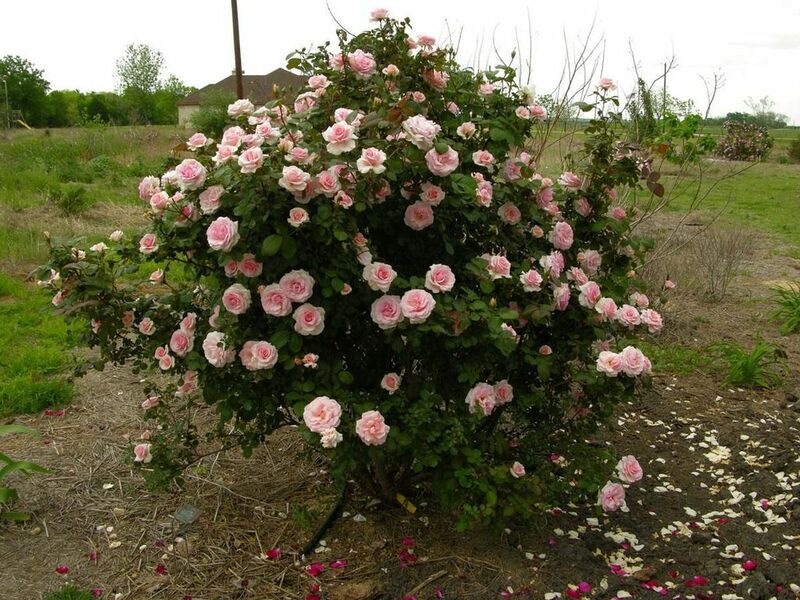 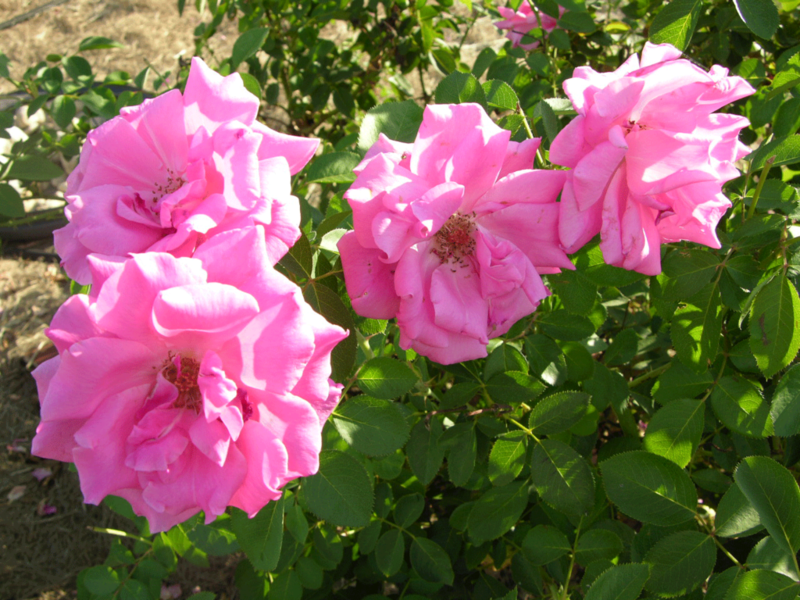 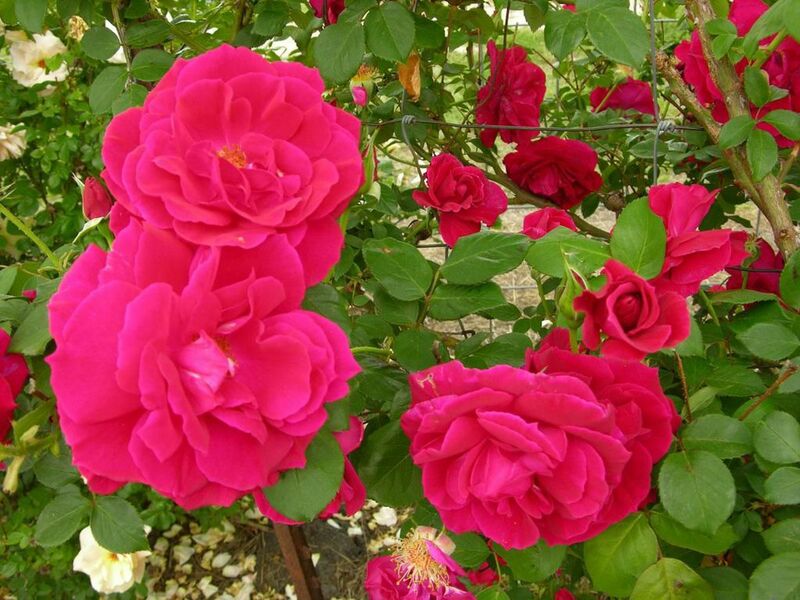 I have that one too, but there are so many roses with more sizes, shapes, smells, and colors! 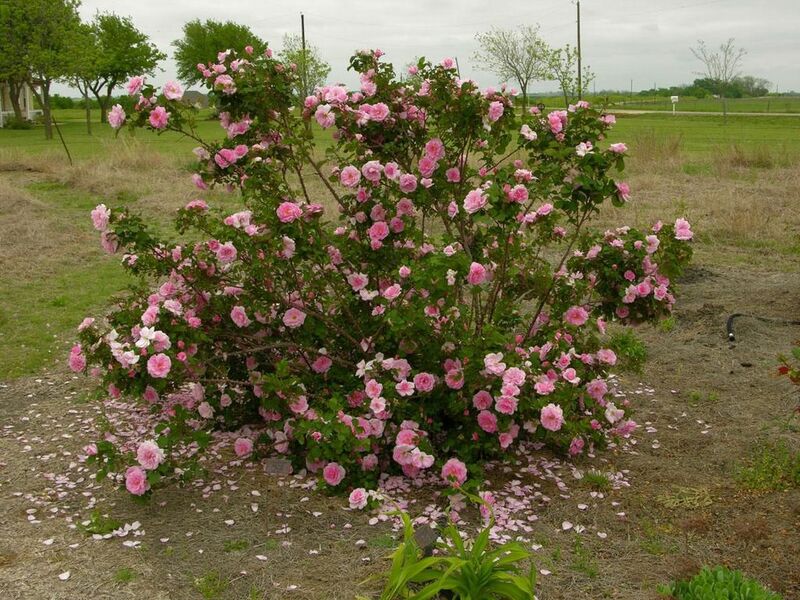 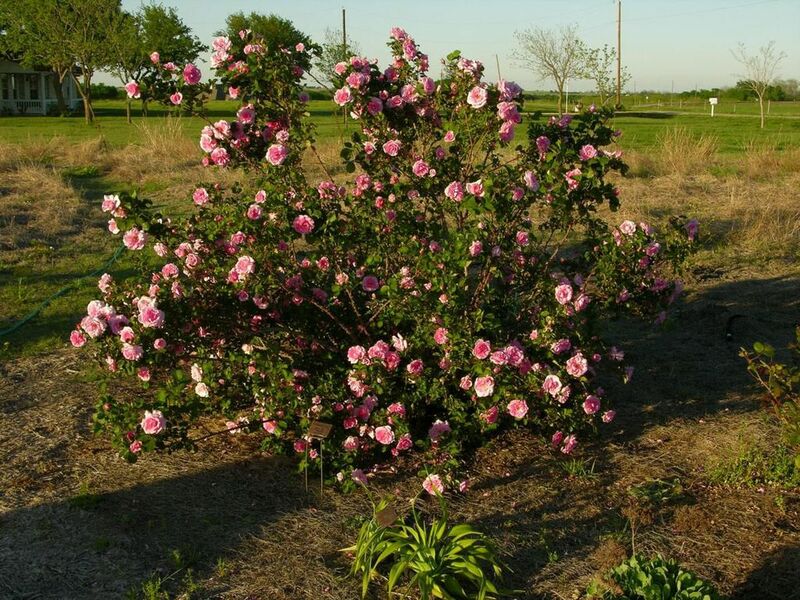 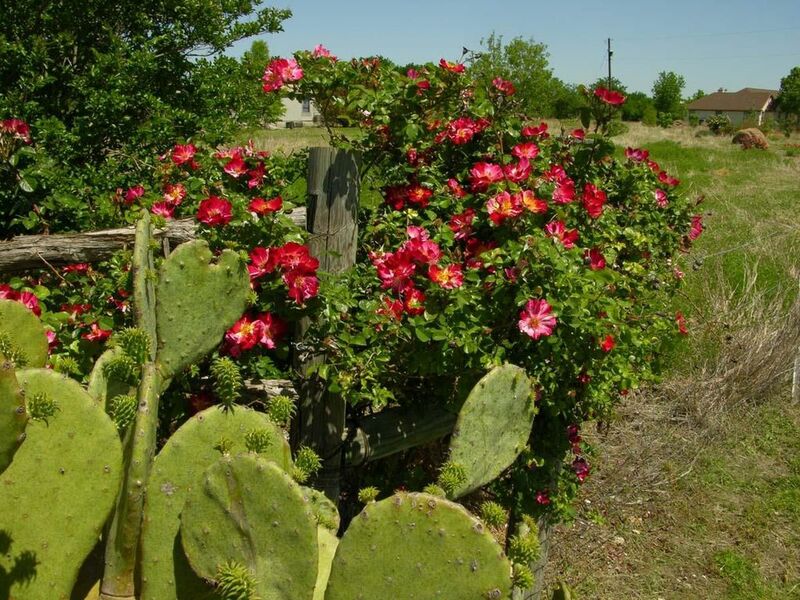 Spring and Fall are the best times in Texas to look at roses. 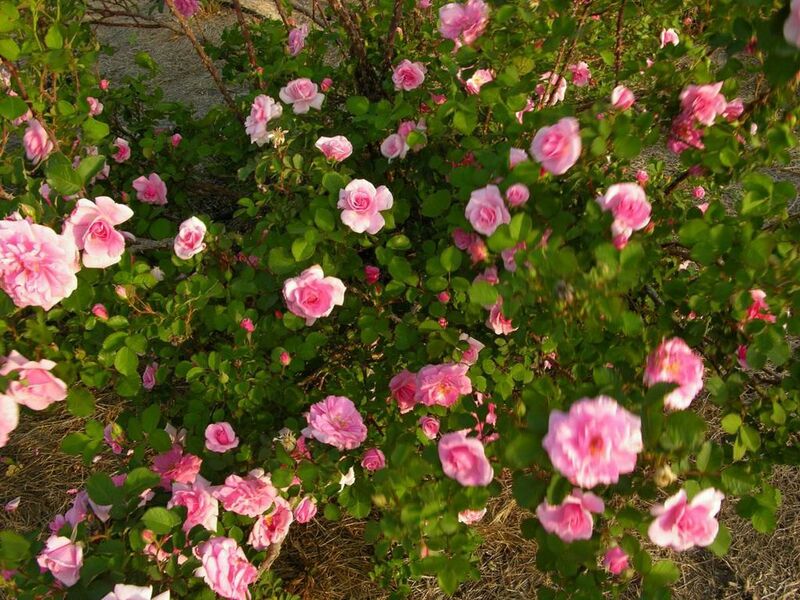 They really kick into bloom at those times when the days are warm and the nights are cool. 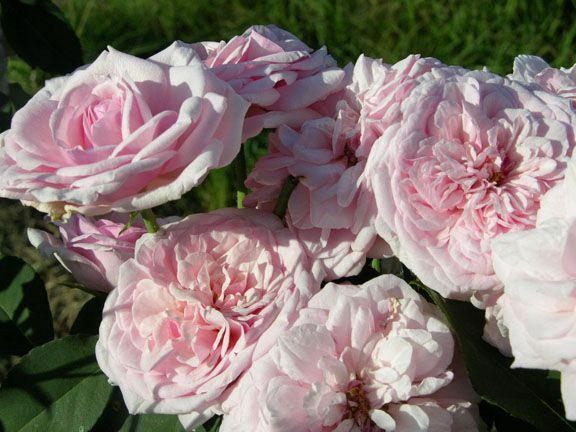 I start my antique and old garden roses from cuttings so they are own root roses and true to type. 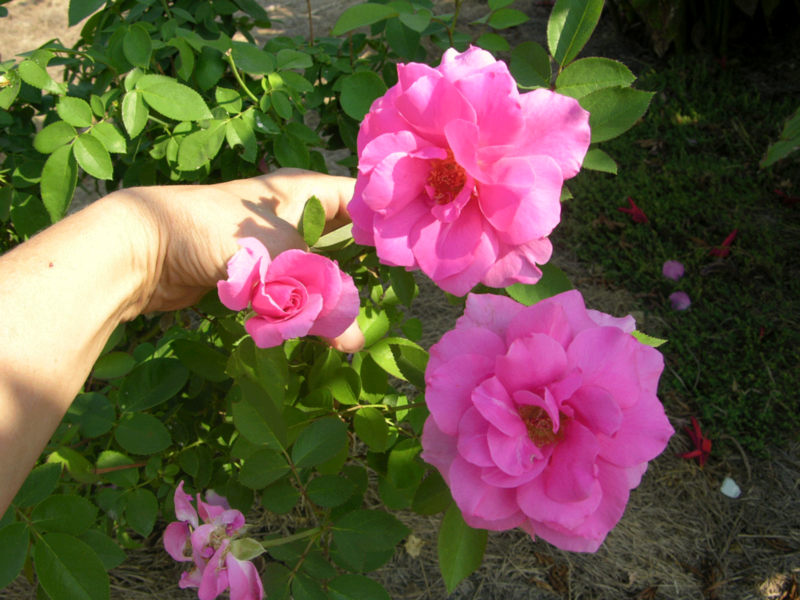 It's easy and I can teach you how. 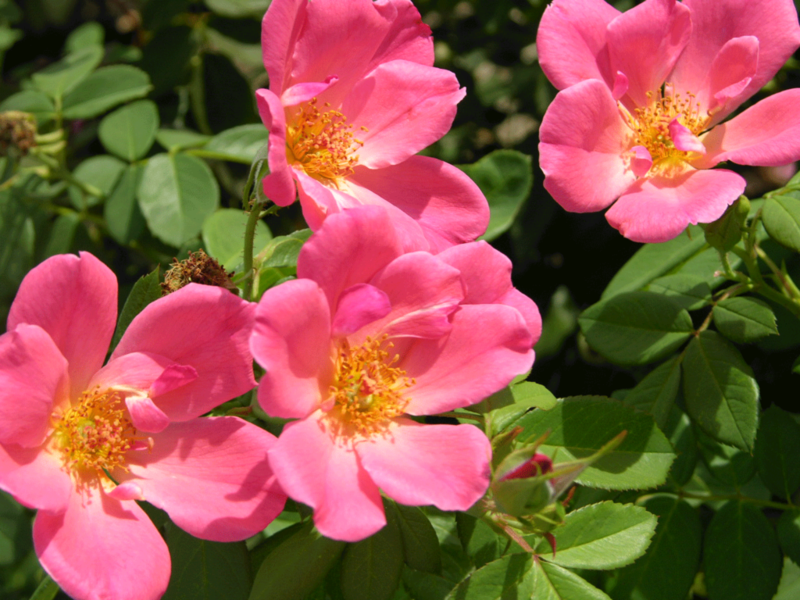 Check out my page on rooting cuttings on the Taylor Daily Press page. 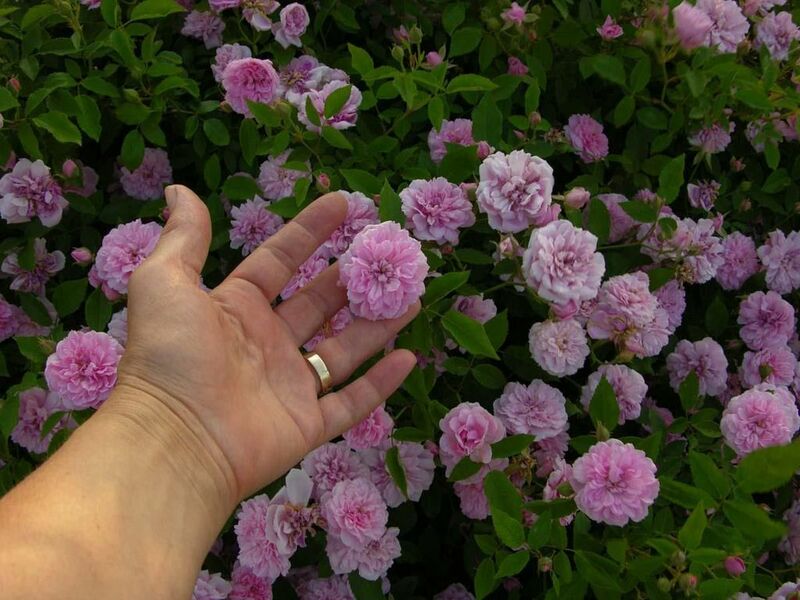 Email me for questions. 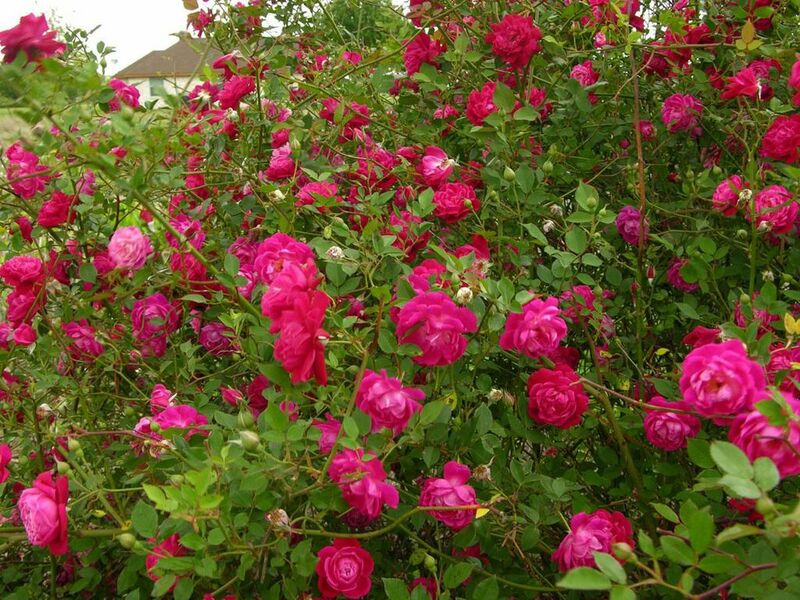 If you wish to start your own cuttings, I can mail cuttings to you in the spring or fall Priority Mail for the cost of shipping. 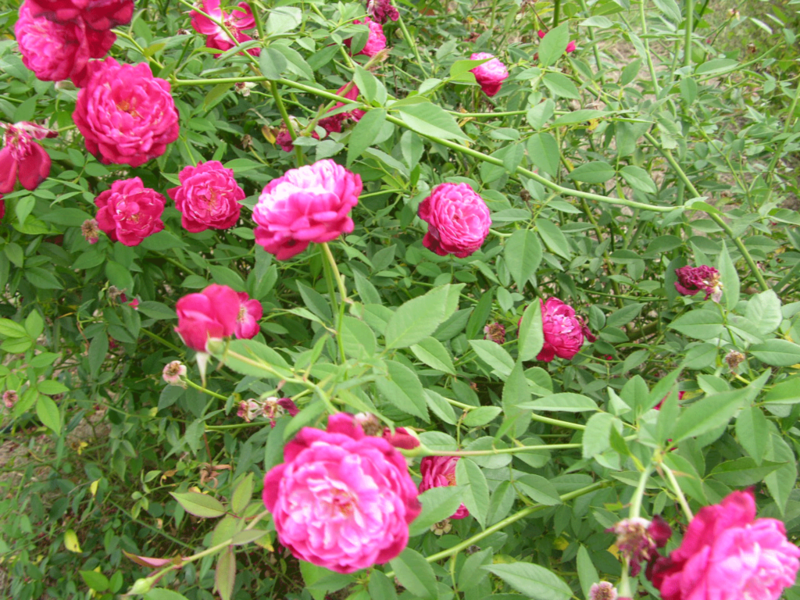 Summers are too hot, and winters are too cold for mailing cuttings. 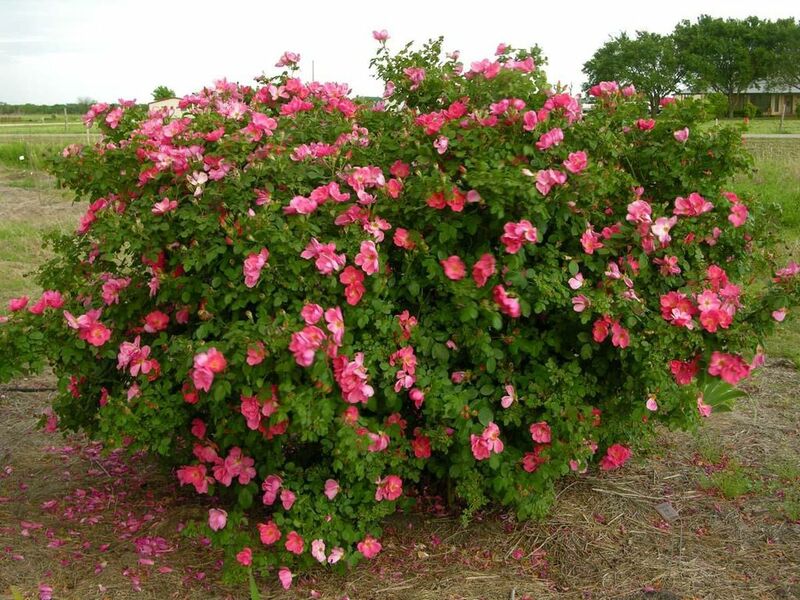 Just fill out an invoice order form below, and email (or snail mail) it to me with a request of which cuttings you want. 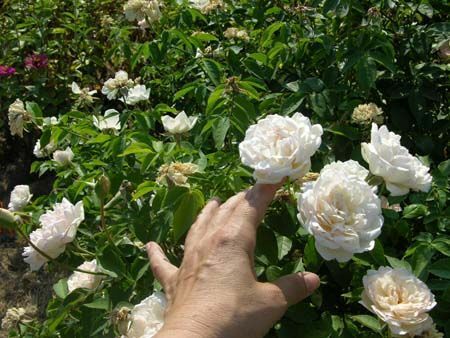 To learn how to start your own cuttings go to my Taylor Daily Press page at the top of the website and look up the article on "Propagation by Cutting". 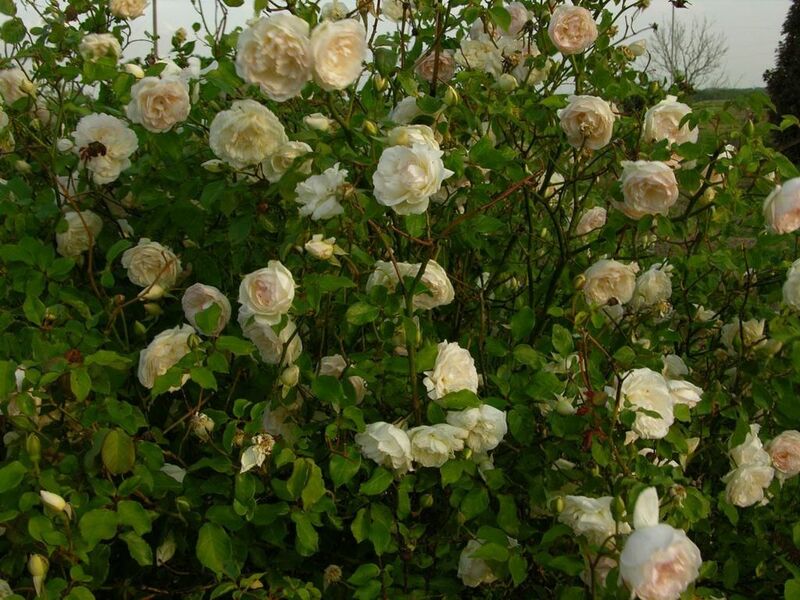 Below see the link for the list of 2018 roses from which I can send you cuttings for free. 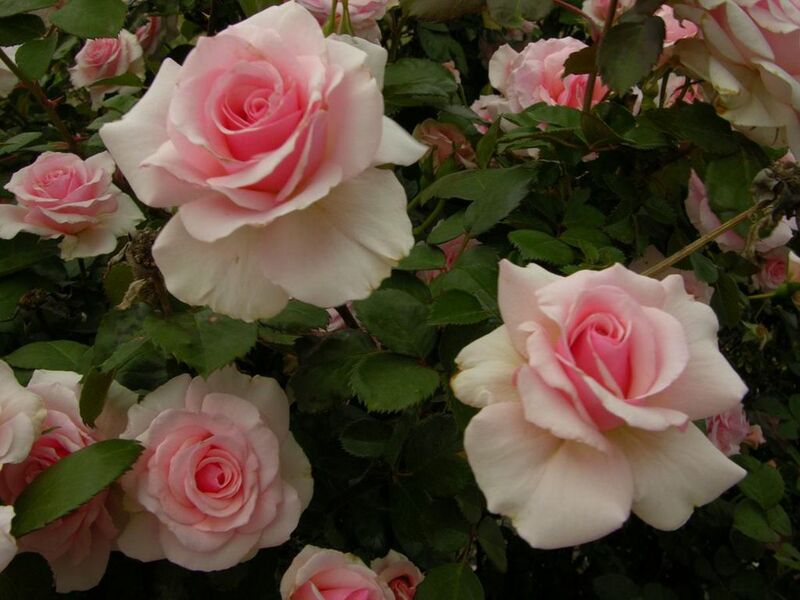 Also below are the Order forms which you can print for your convenience.